The Investment Treaty Forum (ITF) was founded in 2004 to serve as a global centre for serious high-level debate in the field of international investment law. The Forum is a membership-based group, bringing together some of the most expert and experienced lawyers, business managers, policy advisers, academics and government officials working in the field. Like BIICL itself, the Forum has a reputation for independence, even-handedness and academic rigour. The Forum membership is by invitation only. The Patrons of the Forum are: HE Judge Rosalyn Higgins GBE QC, and Yves Fortier CC QC. Robert Volterra, Volterra Fietta, London. The Public International Law Advisory Panel of the Institute also provides useful advice and support to the Forum. The ITF's strength lies in its membership, which is drawn from as wide a range of backgrounds as possible. Members meet regularly (typically 6-7 times each year) to discuss topical issues and, where appropriate, to develop views on issues of concern to governments and decision-makers. The Forum also has strong links with related institutions (including the UK Foreign and Commonwealth Office, the UNCTAD and many others). The right to participate in an independently-run Forum, including free entry to all ITF meetings and conferences. A direct influence on the agenda of Forum meetings and the opportunity to recommend events, speakers and topics for debate. The opportunity to suggest research or other work to be carried out by the Forum staff. Access to a members-only section of the website with various materials related to investment treaty law. All Forum members also receive the following benefits: electronic access to the ICLQ; 40% discount on publications; one free place per organisation at any standard BIICL evening event; and BIICL member rate for other public Institute events. Forum membership is limited by invitation only, to ensure the highest quality in its plenary discussions. To guarantee continuity, and manageability of debate, membership is for named individuals only. However, at the time of joining, members may nominate a senior colleague to represent them on those occasions when they are unable to attend meetings. The Forum membership is by invitation only. For more information on ITF membership please contact: ITF Director. 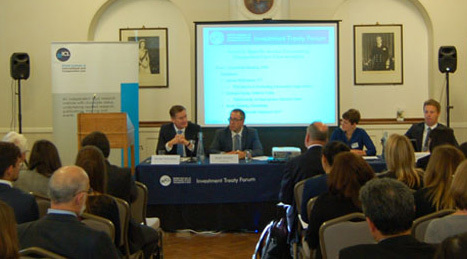 "Investment Treaty Forum (ITF) | British Institute of International and Comparative Law (BIICL)"